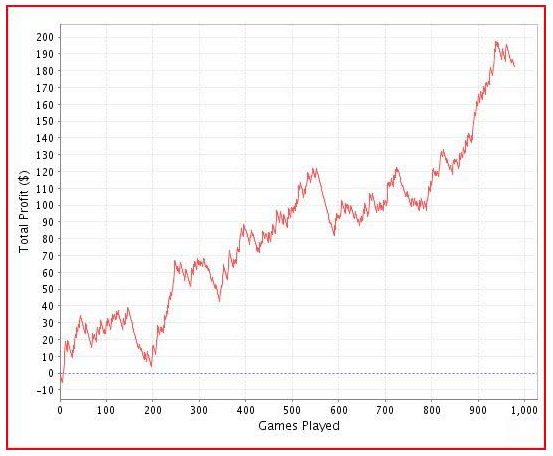 Speaking of SNG’s, here is a graph showing results at them using the ever-popular KGB profile. That’s it for now. If you need a license, there’s a link for buying one on the bot itself. Have fun with version 8.4.1 and we’ll see you or your bot at the cashier window with a mountain of chips soon.